Road trips can be a lot of fun. They can also be a real hassle if something goes wrong. 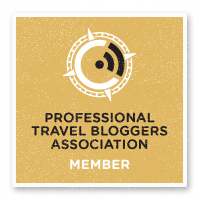 There is a whole list of things you can do to protect yourself on your road trip but there is one main thing that is essential. If you or a loved one has ever been in a car accident you know it can be a stressful and sometimes a traumatic event. The worst part comes after the accident if you are the victim and the other party says it was your fault. Having a dash cam video can help in defending your claim and prove your innocence in the event of an accident. 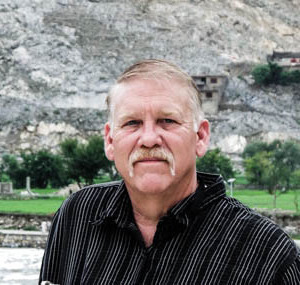 Insurance fraud is also a major problem with “crash for cash” cases. Staged accidents where people intentionally stop short or run into you with the sole purpose of shaking down you and your insurance company for major bucks driving up your insurance rates. There are a lot of great scenic drives and there is no better way to relive those trips than having a video recording. Having a dash cam also allows to capture those unexpected moments of things happening during your trip. 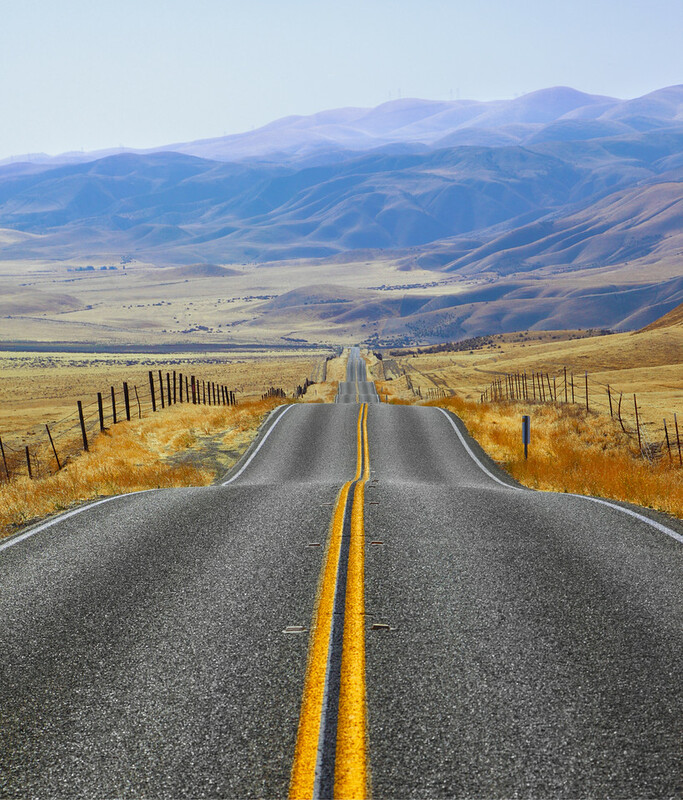 From freak weather occurrences to wildlife and capturing winding roads and landscapes your dash cam can provide a video of your trip for later. After a really bad accident a few years ago, I found a dash cam on sale and installed it in my vehicle. The problem was I bought a cheap dash cam because the features looked good and I figured what the heck, it would be good enough in case of an accident. The dash cam worked fine for about a month and then the problems started. Now whenever I try to use it all I get on the screen is a multi-colored picture full of lines and it is totally useless. My fist recommendation would be to purchase a dash cam from a manufacturer that has a solid history of providing quality products. 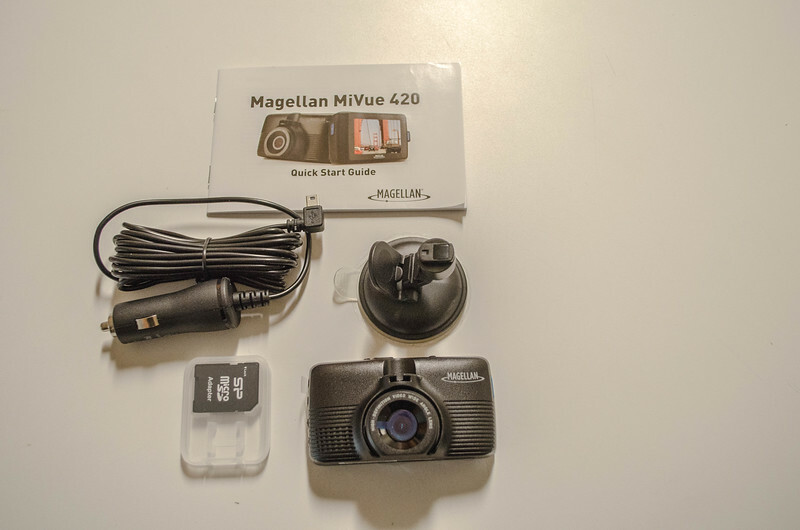 When the people at Magellan reached out to me recently about reviewing their Magellan MiVue 420 dash cam I readily agreed since I was already looking to replace the no name brand I had. The Magellan MiVue 420 has all the standard features you need plus some extras. The MiVue 420 arrived with everything needed to set it up and get running within a few minutes. Night and Low Light Recording produce excellent night and low light recording. Impact Recording measures forces and movement and locks video recording data 15 seconds prior to the event and 50 seconds after upon impact. Camera has a 140° Viewing Angle to capture the entire width of the road ahead of you. A parking mode which monitors where the camera is pointing for a maximum of 30 minutes if the camera is not plugged into a socket continuously powered. This can provide you video of any vandalism or someone hitting your parked car. Digital Camera Mode where you can switch to Photo Mode and detach the front camera from the mount to collect close-up still images. Lane Departure Warning Visual and audible warning notifies the driver if they are wandering out of their lane. Visual and audible warning alerts drivers if they are getting too close to the car directly ahead. Receive an audible alert that it is time to switch drivers, or if driving alone, take a break and relax. Driver’s select the amount of time they can drive before being reminded. Helpful on those long drives so you don’t doze off and run off the road or worse. Speed and Traffic Camera Alerts which help you avoid costly tickets by receiving audible and visual warnings of fixed red light and speed cameras along your route. Drivers are able to add locations to the unit’s internal database. Audible and visual alarms for cruise control to help you maintain safe driving speeds. All these setting can be turned on or off and you can select the type of notifications you want to receive. The Magellan MiVue 420 has the capability to upload and browse recorded video on iOS or PC to organize, browse, and see routes overlaid in Google maps, as well as see direction and force of impact, and more. You want to share with your friends and family or want to post the next viral video? The Mivue 420 has a social media feature to quickly share to YouTube & Facebook via linked accounts through MiVue Manager. 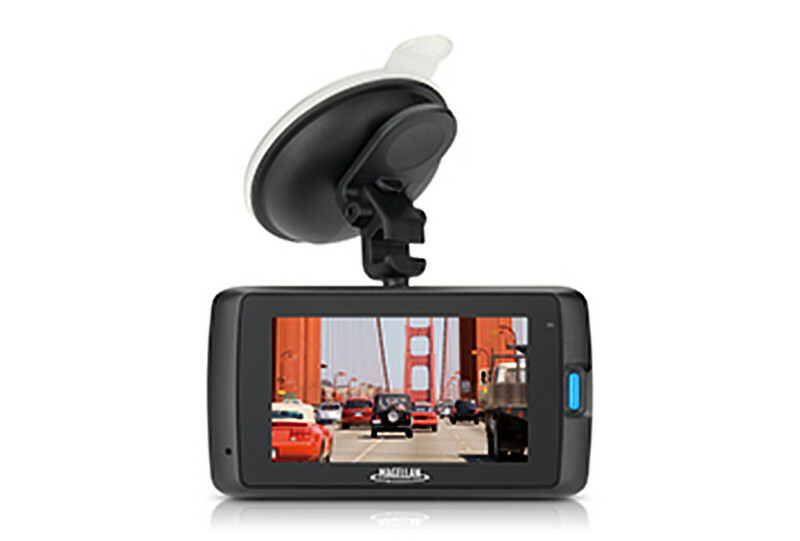 The dash cam comes with a rotating mount which allows the unit to turn and record events taking place in the vehicle. Comes with 8 GM Micro SD card and is compatible with cards up to 128GB. Record hours of video with the included card and up to 21 hours of video when a 128GB micro SD card is purchased separately. I have been using this Dash Cam for a while now and I love it. It does everything I need it to do and more. Dash cams are becoming more popular in the US while in some other countries almost every car on the road is equipped with one. Just look at Russian dash cams on YouTube. After seeing a few of the accidents there you will want one. 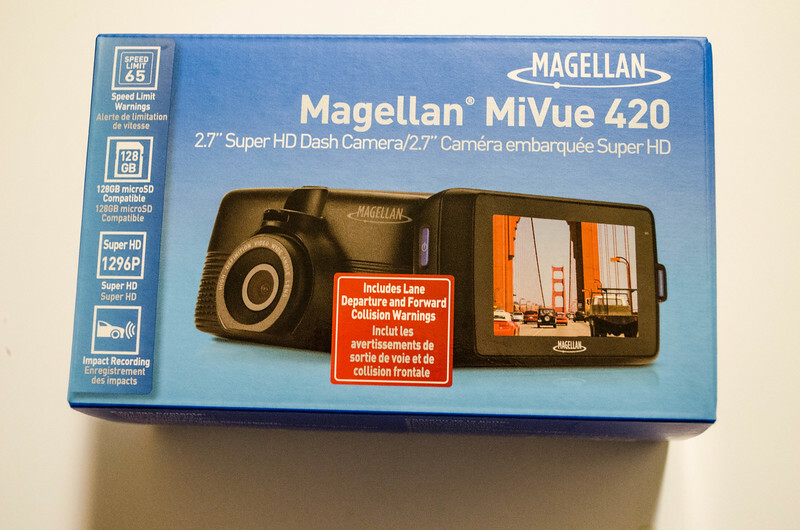 If you decide to buy a dash cam, which I would highly recommend, you can’t go wrong with the Magellan MiVue 420. It comes from a company with a stellar reputation and has garnered great reviews. Now for the good stuff. I am hosting a giveaway where one lucky winner will win a Magellan MiVue 420 DashCam valued at $179.99. The giveaway is only valid for residents of the US and Canada. I agree, way too many idiot drivers out there. Looks nice. Sometimes my husband places his Go Pro on our dash but we don’t leave it there… In Mexico we are afraid it will be stolen! But I think it’s a great idea! Since this attaches to the windshield with a suction cup it can be removed and stored away. I’ve been saying that we need one of these for years and years, mainly because I’m always wanting to pull over and take pictures when I’m driving.I’m keeping my fingers crossed that I’m the big winner, but it does mean that I’ll have to clean my windshield! A clear windshield definitely helps. Good luck. 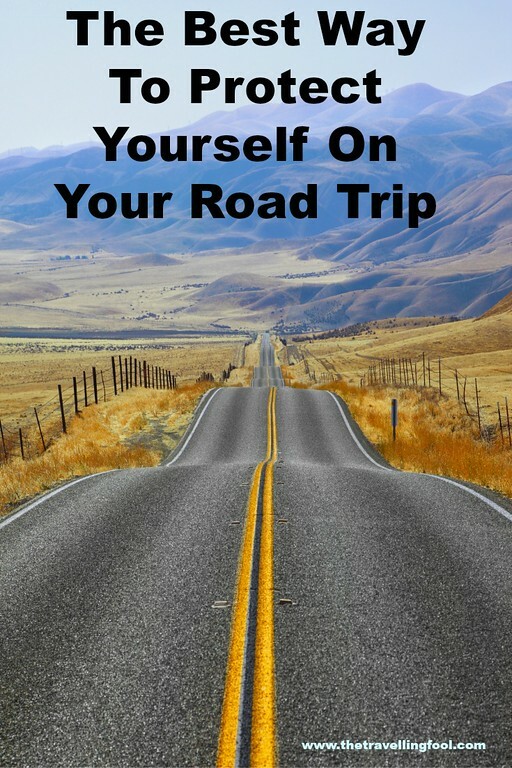 Great tip and timely for me as we are taking a major cross-country road trip this summer. I think I will get a dash cam for the trip. They come in real handy plus who knows you might get a great video for youtube. wow, this was a powerful article! You cover a lot of things I never really thought about. In Germany such cameras are forbidden, and in Russia it is normal business. I will keep it in mind, especially on our next road trip through Spain!! Thanks, Bob!! So good tips you shared safety on road trip. these are very effective tips and i really like them. This has been useful information. We have been thinking of getting one of those cameras. They are very useful for anyone whether on a road trip or just commuting. This is such a handy and important piece of equipment. More than anything else having a dash cam has become a necessity in these times especially when it comes to claiming insurance. Thanks for all the details and I’ll give the MV 420 a look, because I need one especially when I travel abroad and drive around.